Any rider who has had the joy of riding in the Comox Valley knows what a lucky place we have here. From technical DH to comfortable xc trails and beach cruising, there are options for everyone. Active Comox Valley (ACV) is one of over 100 ‘Active Communities’ in British Columbia. This initiative began in September 2005, and is aimed at promoting healthy lifestyles and invigorating community spirit through physical activity. We aim at increasing the rate of activity 20% by 2010! Some of the places listed in the Active Comox Valley guides are mountain bike friendly. Have fun checking out places you haven’t been before. Operating in the summer on Mount Washington, lots of work has been put into the trail network accessed by the Hawk Chair. 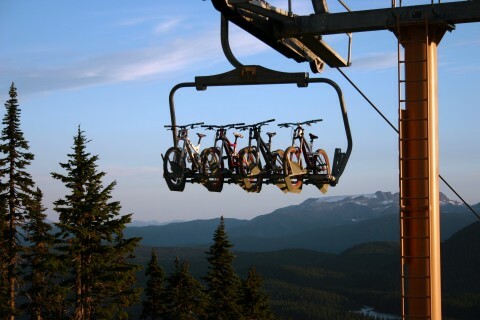 Look for ongoing lessons, weekly events and the Stevie Smith BC Cup DH race in September.